Wild Apricot Version 5.8.3 is scheduled to be published tomorrow, November 1st. Please save your work and log out in advance, and warn your contacts about possible connectivity issues. For more information, and a partial list of bug fixes, see here. One of our priorities is to keep your information safe with us. 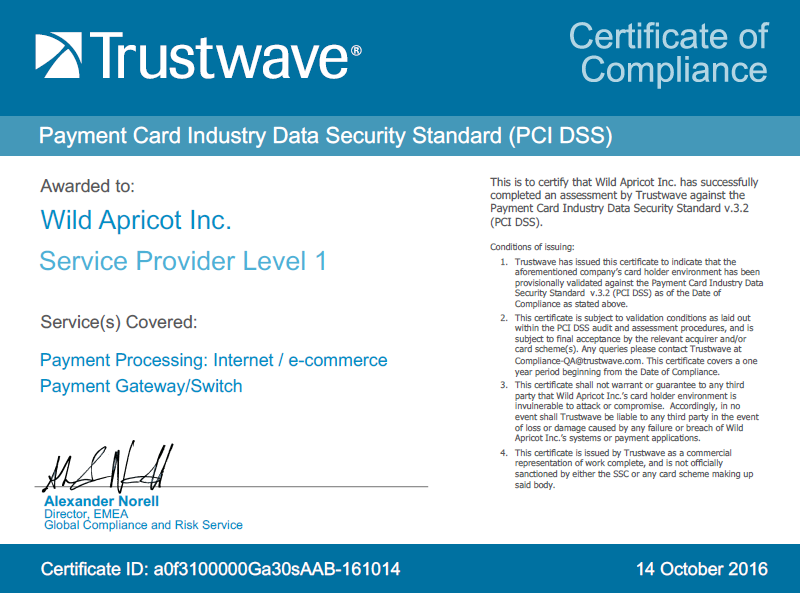 This month, we are happy to announce that Wild Apricot became certified for Level 1 Payment Card Industry Data Security Standard (PCI DSS) compliance. This means that Wild Apricot adheres to the policies and procedures set up by the major credit card companies to keep credit, debit and cash card transactions secure, and protect cardholders against misuse of their personal information. Click here for more information on PCI DSS compliance. On October 26th from approximately 3:30 PM (ET) until 6:00 PM (ET) you may have experienced slow response times when opening sites and possibly a 504 timeout error. Upon investigation, our engineers detected a bug in some new code that was introduced for our emailing services. This bug caused the queues that process information to have degraded performance. We were able to solve the problem by reverting back to the old code. Right now we are reviewing how to prevent this from happening again. We fully appreciate the frustration that this caused and apologize for the disruption in service. #GivingTuesday is just around the corner. Is your nonprofit ready for what could become its most important fundraising day of the year? Make the most of tools and best practices for increasing your online visibility, and more! 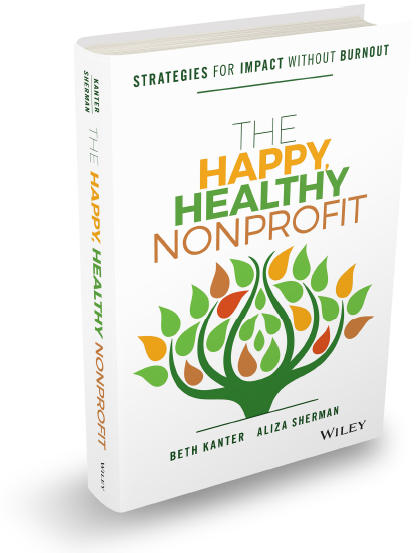 Many of you attended our expert webinar with Beth Kanter and Aliza Sherman back in January on how to run a happy, healthy nonprofit. Recently, they launched their new book on the same topic, The Happy, Healthy Nonprofit: Strategies for Impact Without Burnout. This book takes on the outdated and unsustainable work ethic that plagues many nonprofits: a “Scarcity Mindset” leading to working long hours with few resources without investing in an organizational strategy of self-care. The book provides practical tips and solutions for nonprofit professionals who want to practice self-care and strategies for nurturing a culture of wellbeing in the nonprofit workplace. The book offers concrete ideas, examples and steps for both individuals and organizations working on social change issues to achieve impact without burnout. We really appreciate the timely, transparent and recurring communication on your part. Of the 7 SaaS partners we work with you, your team is by FAR the most communicative about your plans. Even better than some really huge companies that are public. I hope you always stay this way! Thank you! Is anyone using this software to create and send emails having any issues like I have been for the past year or so? I surely can not be the only one!